Chengli Special Automobile Co., Ltd. is the leading manufacturer and supplier of milk truck, milk tank, milk tank trailer, tank truck for milk, stainless steel milk tank, food grade tanker, farm pickup tank truck, liquid food tank, milk trailer, etc. 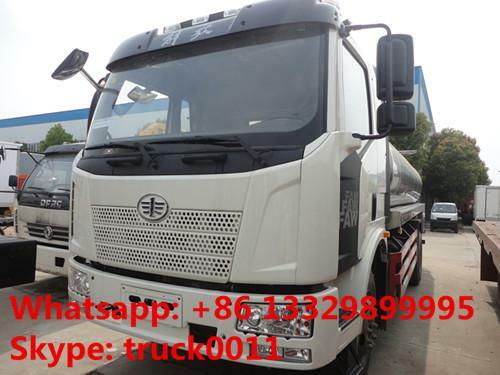 With many years’supplying, Chengli Special Automobile Co., Ltd. could supply 5000L-25000L milk tank truck, 30000L-50000L milk tank trailer, dongfeng milk tank truck for sale, FAW food grade milk truck for sale, ISUZU milk truck for sale, Forland milk truck, etc. More information, please feel free to contact with us. The CLW milk tanks are with three layers. 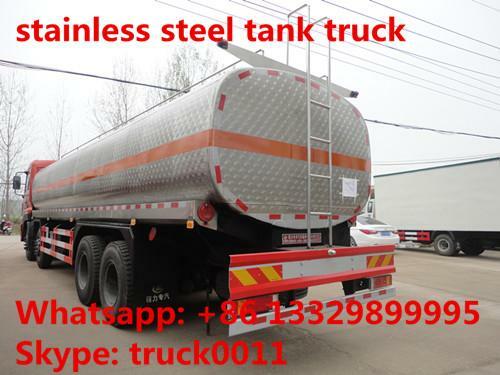 The inner tanker is manufactured by 5mm thick 304/2B food grade stainless steel; the middle is 80mm PU foam insulation layer, and 60mm PU foam of the manhole part, the temperature will be changed one degree within 24 hours; the exterior of the tanker is 1.2mm thick 304 stainless steel mirror panel. 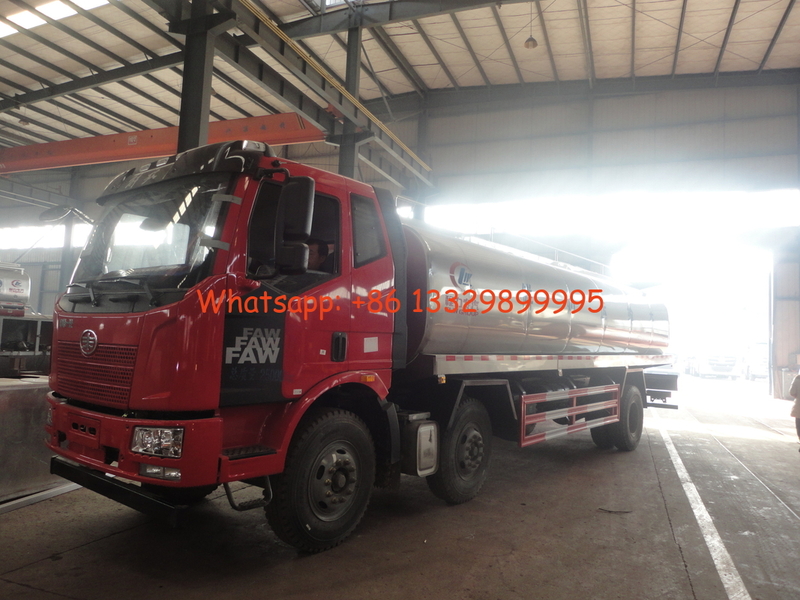 If you're interested in our fresh milk tank truck, please send email to szhj9999@163.com or call +86 13886878855. China FAW Automobile Co., Ltd. Tank capacity:18.5CBM tank dimension(length*long axle*short axle)(mm) 9.200*2,400*1,550. (the real dimension is 9,000*2,200*1,350) the outside insulation layer height is 100mm). the rear suspension(mm) 2565/2865 is accordance with the wheelbase 2000+4700+1350; 1900+4500+1350. the protective material: Q235 carbon steel, the connection way: the two sides and rear bottom protections use welding. The rear protection section dimension(mm) 100*50*5, and the height to the ground is 490mm. The truck needs to install automobile data recorder.